They were there for a day, then they disappeared. Now Eden, Good Food and Home have officially arrived on BT TV, there to stay as part of a new deal between the channel operator UKTV and BT. Last month, Eden, Good Food and Home erroneously appeared on BT's YouView EPG before disappearing after a day, creating confusion among viewers. Now, three years after BT and UKTV first agreed on a carriage deal that included Gold, Alibi and Watch, the extended deal announced today will enable BT TV viewers to watch all ten UK TV channels. Yesterday, Drama, Dave and Really are available free-to-air via the terrestrial element of BT's television service, all other channels are streamed via multicast technology to BT TV subscribers. The new deal also extends to internet and mobile streaming for UKTV's ten channels via BT's TV Everywhere app, available on smartphones, tablets and PCs. This includes seven day catch up rights for all ten UKTV channels, enabling BT subscribers to watch UKTV shows they may have missed, whenever they want and wherever they are. 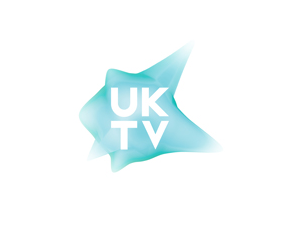 "UKTV's continued investment in original content has made our channels more popular with viewers than ever before. I'm delighted BT's customers will now be able to enjoy programmes from across our network and watch great entertainment on demand with UKTV Play."